In present-day Japan, Ainu women create spaces of cultural vitalization in which they can move between “being Ainu” through their natal and affinal relationships and actively “becoming Ainu” through their craftwork. They craft these spaces despite the specter of loss that haunts the efforts of former colonial subjects, like Ainu, to reconnect with their pasts. The author synthesizes ethnographic field research, museum and archival research, and participation in cultural-revival and rights-based organizing to show how women craft Ainu and indigenous identities through clothwork and how they also fashion lived connections to ancestral values and lifestyles. 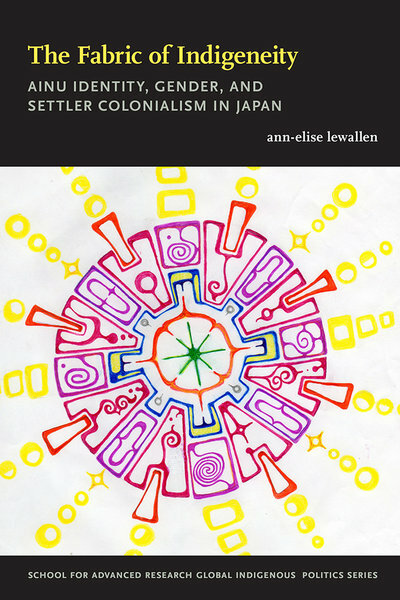 She examines the connections between the transnational dialogue on global indigeneity and multiculturalism, material culture, and the social construction of gender and ethnicity in Japanese society, and she proposes new directions for the study of settler colonialism and indigenous mobilization in other Asian and Pacific nations.